The Canadian Association for Studies in Cooperation (CASC), along with The Association of Cooperative Educators (ACE), Cooperatives and Mutuals Canada (CMC) and The Cooperative Foundation are challenging co-operatives and co-operative educators to be creative and share the ways in which we educate and fulfill the fifth co-operative principle. The fifth principle asks that co-operatives provide education and training for their members, elected representatives, managers, and employees so they can contribute effectively to the development and future of their co-operatives. Co-operatives are also meant to inform and educate the general public – particularly young people and opinion leaders – about the nature and benefits of co-operation. There is a long history of co-operative filmmaking, which has been a very effective method of co-operative education over the years. In this challenge, there are two categories that will be judged; less than 3 minutes, and from 3 to 10 minutes in length. The winning video in each category will receive a cash prize of $1000 US. 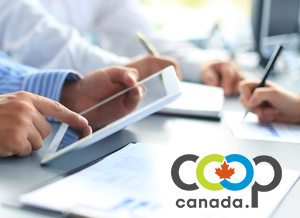 The contest is open to all co-operatives and co-operative organizations in North America and prizes will be awarded June 1 to 3, 2016 in Calgary during the joint CASC – ACE Conference. The entries can be documentary, docu-drama, animation, musical, or multi-genre, but the focus is on co-operative educators and videographers who can step up and make videos about co-op education! Video submissions will be judged on co-operative content and spirit, innovation, artistic value and technical achievement. Submissions must be completed between Jan 1, 2016 and May 1, 2016.